Hope Park is one of Keswick's main attractions. 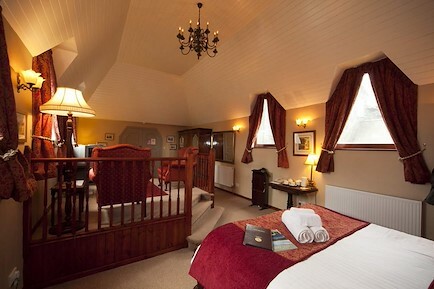 Located between the town centre and Derwentwater it is a favourite stopping off place whilst walking to the lake. Hope Park has attractive landscaped gardens with a stream and woodland walk, set in magnificent scenery overlooking the fells. Cafe Hope serves light meals and refreshing drinks for breakfast, lunch and tea (and all those times in between). Relaxed and friendly with indoor and outdoor seating for 90, Cafe Hope welcomes children, dogs and, by prior arrangement, coach tours and groups. A few steps down from Cafe Hope is the kiosk for the park games. Offering family fun with the very popular 18 hole Crazy Golf course, a 9 hole Pitch and Putt golf course admired and acclaimed by golfers and non-golfers alike,18 hole putting green, boules pit for Petanque and our newest visitor attraction - remote controlled boats. Complete with islands, landing stages and replica launches, our “Mini Derwentwater” is a must for children of all ages. Hire 'Yan' or 'Tyan - one of two electric Twizys from Cafe Hope. This is a new way to see the Lake District and so much fun. Contact Cafe Hope with your driving licence details. Costs start from £20 for 1 hour. Refreshments are available at the kiosks; hot and cold drinks, snacks and confectionery, and ice creams. Seating at picnic tables is also available nearby for your enjoyment. * Saver Card (game specific),10 games for the price of 8. Hope Park has developed considerably since 1925 when the land was used for grazing the railway coach-horses which drew weary passengers from the busy Keswick Station to the hotels in the town. Sir Percy Hope owned the land and began developing it into a miniature golf course. It was opened on 27th May 1927, since when the park has become an important recreational area for both the residents and the increasing number of visitors to Keswick. The ornamental garden was once the private garden of Lady Hope. It was the wish of Sir Percy and Lady Hope that the inhabitants of Keswick and visitors to the town would continue to enjoy these recreational facilities. Also visit our other park in Keswick at Fitz Park, Station Road. Situated between the river and Station Road, Upper Fitz Park has a wonderful landscaping of trees and ornamental shrubs, which make an idyllic setting for the games available here. An 18 hole putting course, bowls and grass tennis courts are popular with all ages. Seating within the park and refreshments are available at the games kiosk, providing hot and cold drinks, confectionery and ice creams. Across Station Road is Lower Fitz Park which is the setting for the cricket club, the new multi use games area and the new, much acclaimed children’s play area. Hope Park is situated opposite Lakeside Car Park and the Theatre by the Lake enroute to Derwentwater. Your enquiry will be sent directly to Hope Park and Cafe. Please fill in as much detail as you can.